PROSECCO - COOKING CLASS A cross-section of food to zero km modeled and explained by Chef tasting with wine Prosecco produced directly by the skilled hands of farmers who cultivate the land for centuries , with visits to the museums in the area and tasting of local product. 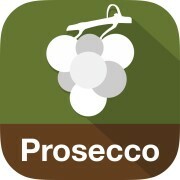 Four days of Prosecco , with tours and tastings in the cellars of the DOCG . On the way there is a cooking school held by a chef , which provides for the taste of the dishes created . It ' a planned output in Bassano del Grappa for the visit to the museum of Montegrappa pens , Ceramics Elios and Nonino Grappa . Also the last day will include a bike trek through the hills of Prosecco DOCG .